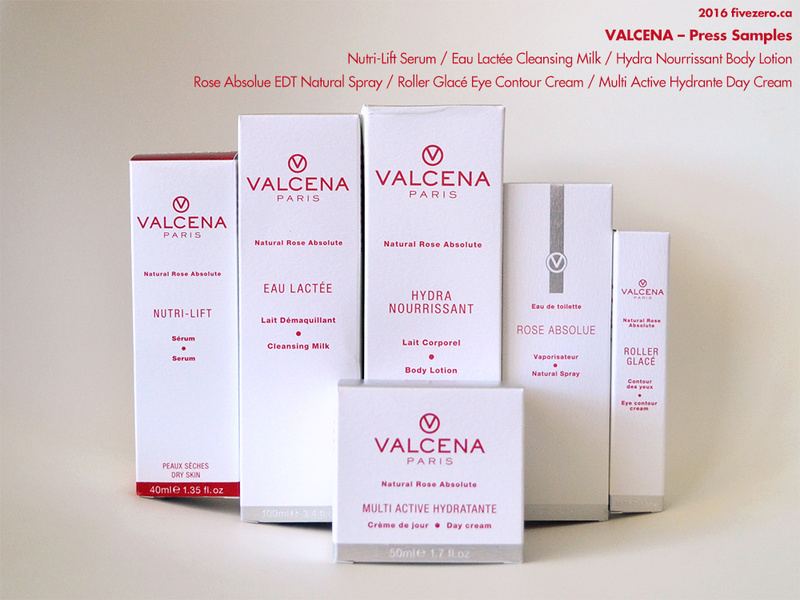 Valcena Paris were kind enough to send me a package of some of their most popular products for honest review. I was a bit skeptical of this product at first, merely because it calls itself a lotion. 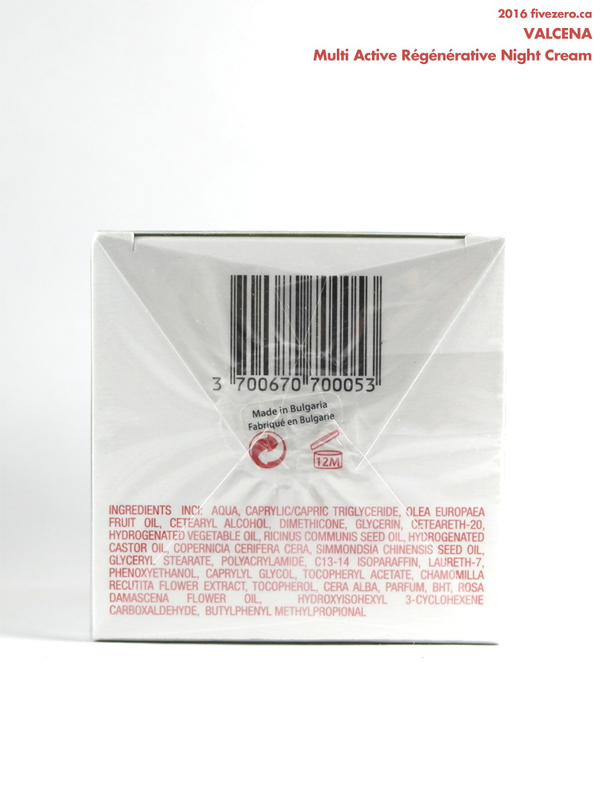 My skin is quite dry, particularly now that it’s winter here in Canada, and lotions generally don’t cut it at all! Even in summer, I usually stick with thicker body creams, since I usually find that light lotions do almost nothing for my skin. Hydra Nourrissant Body Lotion turned out to be quite a nice surprise! Right off the bat, I’m just going to admit that I don’t generally like milky, lotion-y cleansers. I know it seems weird for someone with dry skin, but I have rarely ever found a milky cleanser that actually cleans properly and doesn’t end up just moving grease and makeup all over my face. Eau Lactée Cleansing Milk is slightly better than some others I’ve tried (I’ve a real doozy to trash on my blog quite soon) but it’s still really not my cup of tea. Today I will be reviewing an item they sent to me, the Multi Active Hydratante Day Cream, which is the partner to the Multi Active Régénérante Night Cream I reviewed earlier. 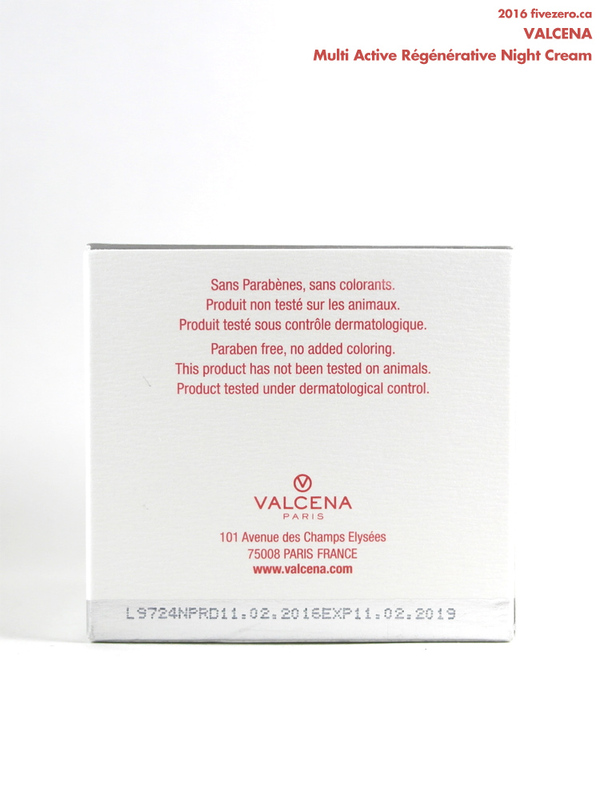 I started using this cream straight away, which is a bit unusual for me as I have a habit of collecting products and not getting around to trying them for months! 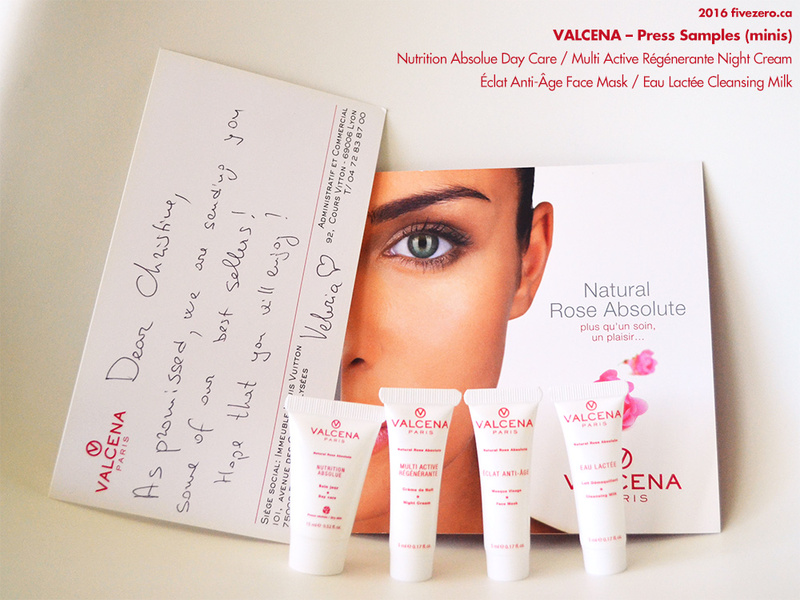 But the “Natural Rose Absolute” label on the package swayed me, as I am a seriously big fan of rose scents. 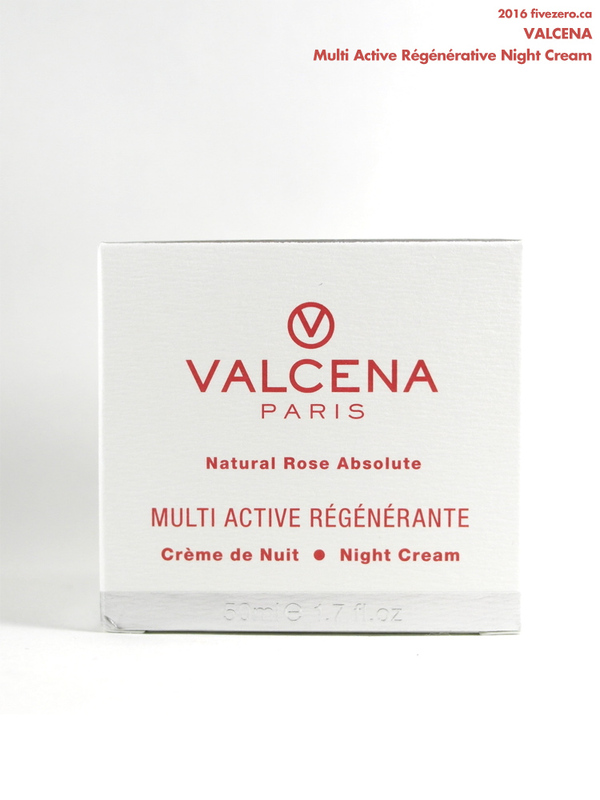 I had just run out of the night cream I was using at the time (Yves Rocher Anti-Age Global Complete Anti-aging Night Care) and had not yet opened up one of the others I had stockpiled, so Valcena’s rose scent moved it right to the front of the queue. My husband, who follows these things, informed me this week that sales at existing TJ Maxx stores in Canada (that’s Winners, Marshalls and HomeSense) have gone up something like 14%! I think that’s over the last quarter…or year? Anyway, it’s gone up! I suppose I’m just doing my part for the stock price, right? And TJ Maxx has been doing better in Canada than it has been in, say, the UK (where it’s TK Maxx) and Australia. This 4-pack of full-sized lipsticks was a little too well-priced for me to pass up! I gave two away (Amore and Bella) and kept Dolce and Felice for myself. 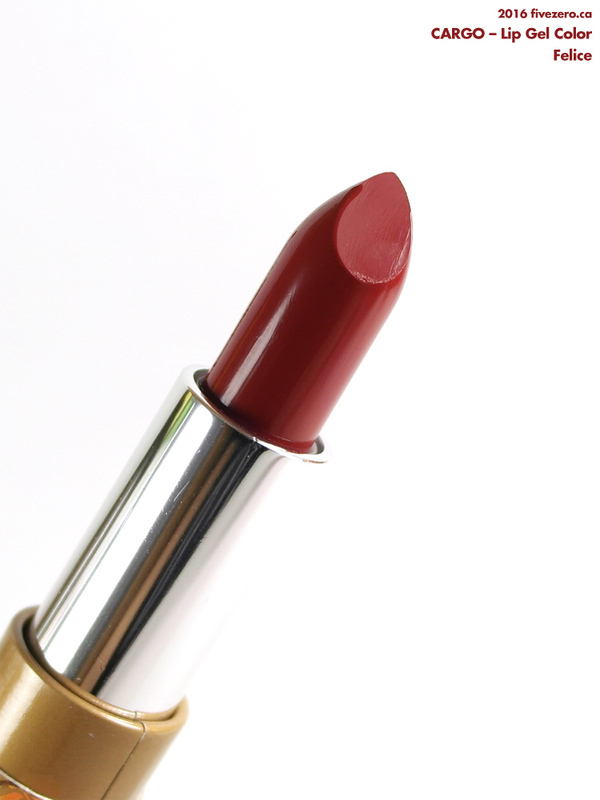 I normally don’t care for lipstick tubes made of cardboard (yeah, you, old school Stila! ), but these sure are purty. Made in China. MSRP US$25, though it’s currently on the website for US$15. 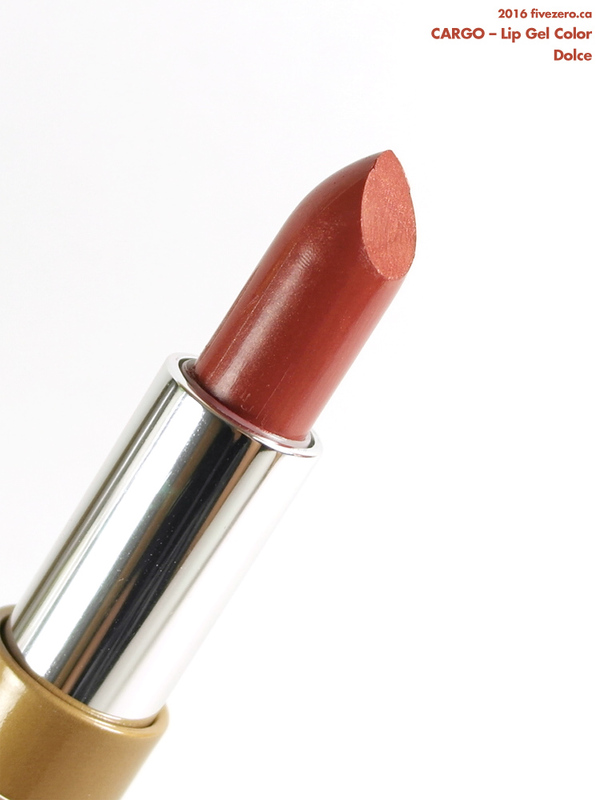 Cargo Lip Gel Color in Dolce. 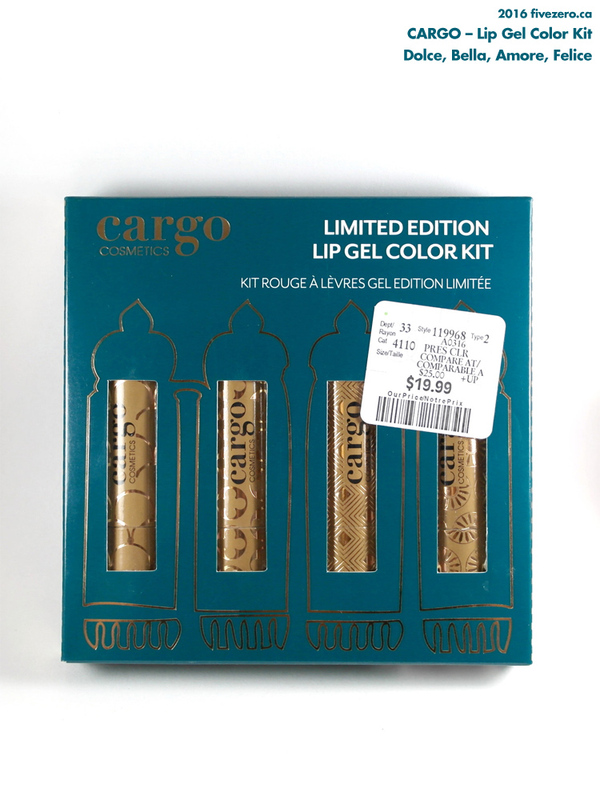 Cargo Lip Gel Color in Felice.